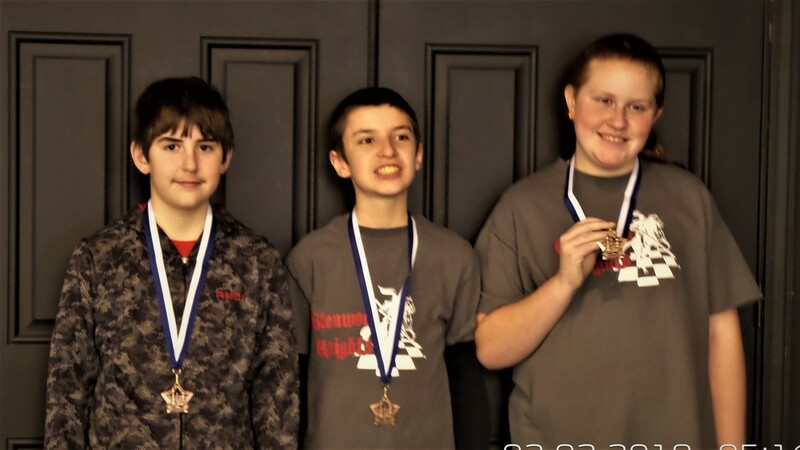 The Galena Scholastic Chess Tournament (Missouri/Kansas Border Battle) was held Saturday, February 3, 2018 at the Galena High School. This is always an exciting and exhausting tournament. It is an all day trip leaving at 5:30 in the morning and getting back around 9:00 at night. The students play 6 games of chess at this tournament. There were 20 awards given for each division and all of the Glenwood Knights placed in the top 20 of the K-8 Division. Morgan Lee placed 8th, Lauren Shipley placed 18th and Toby Keith placed 20th. There is a lot of tough competition at these tournaments, and we are proud of the job that our students do. Next, it is off to State in Columbia, MO on March 17. Wish them well!! !